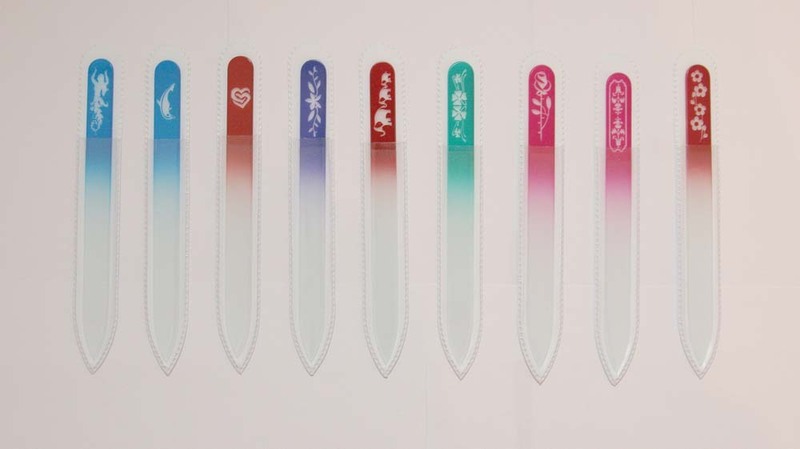 Varieties of ornaments are etched on crystal nail file handle surface using sandblasting technology, which shoots solid particles at high speeds removing a certain area from the top of the crystal nail file handle. 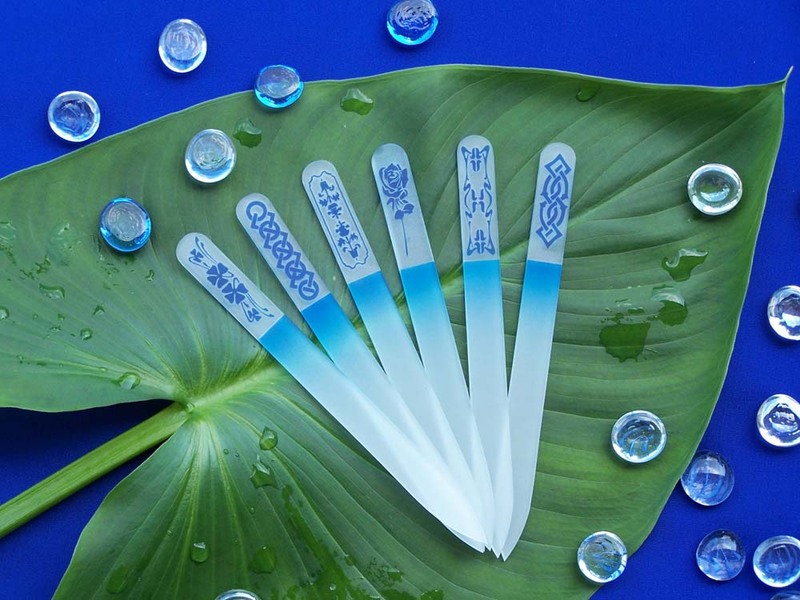 Making the right impression on color glass, sandblasted crystal nail files are loved for their original look. 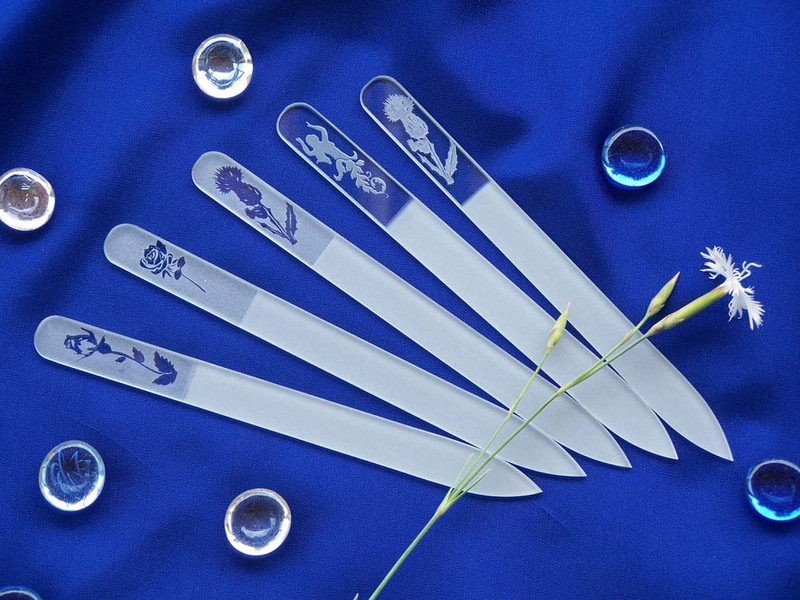 Sandblasting is possible on every size of available crystal nail files. 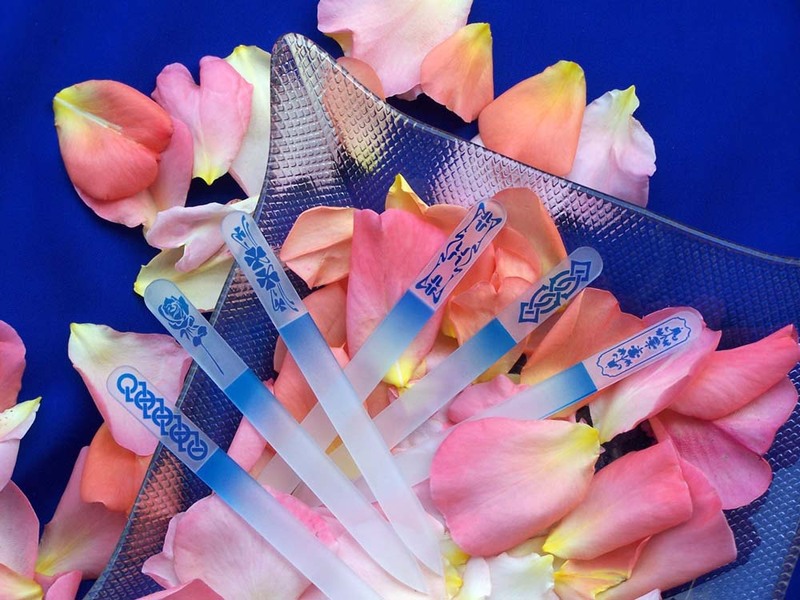 Sandblasted crystal nail files are supplied in plastic (PVC) cases, velvet sleeves can be bought for additional cost. Sandblasting glass nail files is very time taking process, we are able to make about 200pcs each day, not including the time to make the files themselves and the production line. Plan your promotions and purchases accordingly. 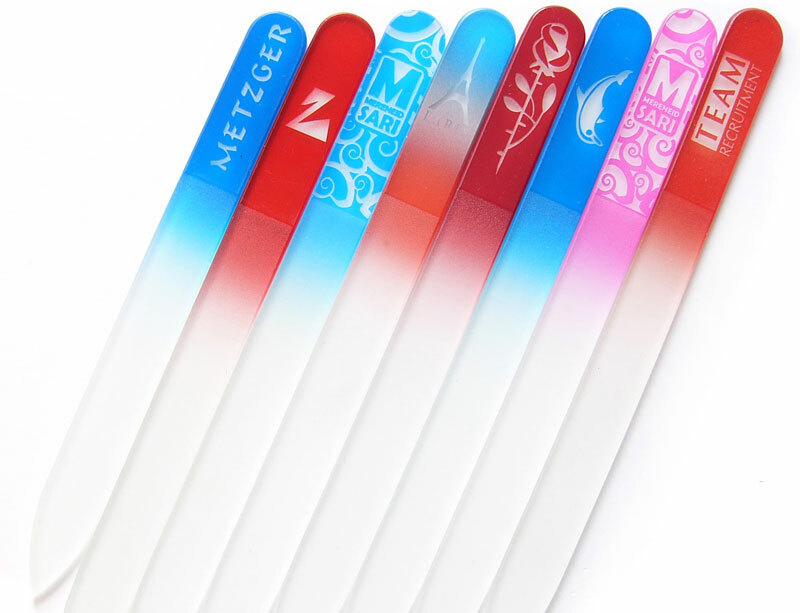 Custom logo/brand can be applied using this way of decorating the crystal nail file; back print is another way of making a promo glass nail file. 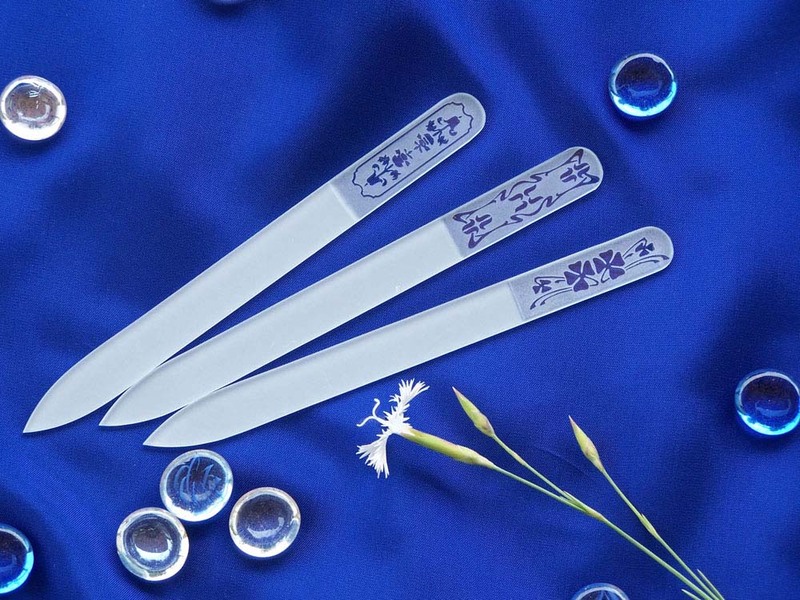 All our crystal nail files are of the same high quality, and are made in Bohemia, Czech Republic. They are the best nail care tool and will last forever. 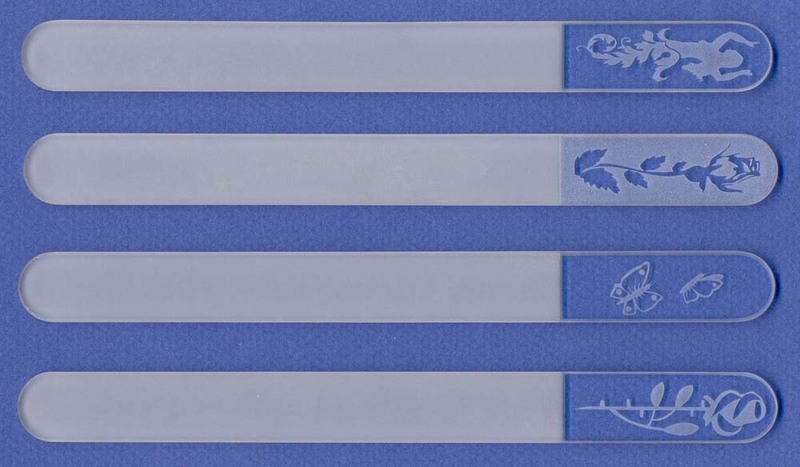 We have tested our files with many people, and some of them even wrote reviews of nail files. Where to buy? Please contact us in case you are interested in wholesale prices or ordering the files for your marketing activities. We do not sell sandblasted nail files to the public, but you are free to visit our e-shop to look for something that you will like. These files are part of a larger Classic group, if you are interested in Swarovski decorated files, please visit Exclusive group, you will definitely find there something to fit your needs.